The 32,730 sq.ft. golf course clubhouse includes mens’ and womens’ locker facilities, golf course pro shop, banquet facilities, full service kitchen, members’ bar and grill, and a meeting and conferencing center. In addition the clubhouse facility includes 2,800 sq.ft. of office administration and 14,000 sq.ft. of golf course and golf cart maintenance facilities and storage. 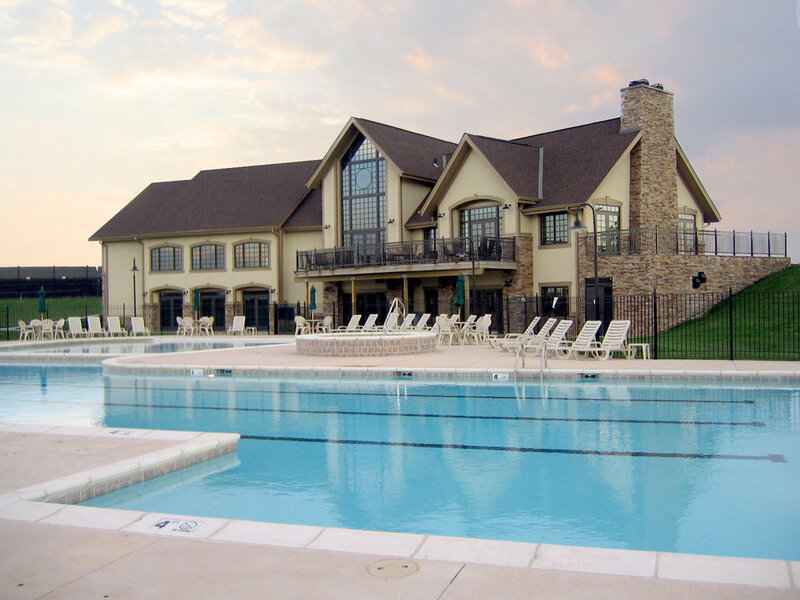 This private clubhouse is the heart of a new 700 acre residential development located on a historic farmstead. The 8,000 sq.ft. amenity building building includes public restrooms, exercise room, public bar, conference area and a gymnasium. The amenity building is part of a new 700 acre residential development located on a historic farmstead.